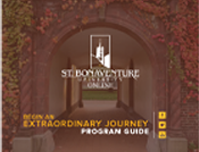 Although St. Bonaventure is located in New York, we can still offer residents of Dallas, TX the opportunity to acquire their MBA online via distance learning. Our online MBA program is fully accredited by the AACSB and can set your resume apart from others in your chosen field. Our online MBA graduates go on to encourage positive change to the world around them. The online Master of Business Administration program for Dallas, TX residents utilizes a 7 week term format, with two terms in each semester. Most Dallas residents can have the distance learning degree requirements completed in approximately 2 years. Dallas students with certain academic backgrounds may be able to have the online MBA requirements completed in as few as 20 months. Dallas is one of the most populous cities in Texas and is the 4th-most populous metropolitan-area in the United States (because it also includes Forth Worth). Indigenous people as well as the Spaniards laid claim to the area of Dallas before it was officially declared a US city in 1856. Dallas' population boomed as the addition of railroads made it easy for travel and attracted new residents and businesses alike. Today Dallas is still one of the fastest-growing business centers in the United States and is considered the largest city in the American South.